William Kenneth Alphin was born on 1 November 1963, in Culpeper, Virginia, USA. He is a country music singer, best known by his stage name Big Kenny, and is half of the duo Big & Rich which has released four studio albums. All of his efforts have helped put his net worth to where it is today. How rich is Big Kenny? As of late-2016, sources inform us of a net worth that is at $6 million, mostly earned through a successful career in the music industry which began in 1999. 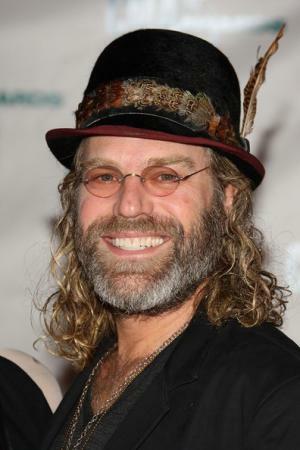 Prior to Big & Rich, Kenny recorded a solo album and also wrote songs for other artists. As he continues his career it is expected that his wealth will increase. After working for a while at Famous Music, Kenny was signed to Hollywood Records in 1999. During his time there, he recorded the album “Live a Little” which had problems with ownership, that led to the delay of its release until 2005. He then left the label and founded the band luvjOi featuring Adam Shoenfeld, which had some success and recorded two albums before disbanding. Kenny would then befriend John Rich, who is a former leading vocalist of Lonestar. They founded Big & Rich in the early 2000s, and then signed with Warner Bros. Records in 2004. They would release three albums with the label, which are “Between Raising Hell and Amazing Grace”, “Comin’ to Your City”, and “Horse of a Different Color”. They had a number one hit entitled “Lost in This Moment” and also had several Top 40 country hits. During this time the two also founded MuzikMafia, which is an association of songwriters and singers. His success as part of Big & Rich helped considerably improve his net worth. The duo would go on hiatus in 2008, mainly to rehabilitate a neck injury Kenny had sustained in 2001. Eventually, he would start moving his solo career forward once again, recording his second solo album “The Quiet Times of a Rock and Roll Farm Boy”. He also became a part of the show “Can You Duet” as a judge, while working on several singles. He then started his own record label entitled Glotown Records and began recording music again. In 2010, he went on his first nationwide tour solo, and performed with a new band. In the same year he released “Big Kenny’s Love Everybody Traveling Musical Medicine Show Mix Tape, Vol. 1”. Aside from his performances and songs, Kenny has also co-written several songs for various artists, such as Martina McBride, Jason Aldean, and Gretchen Wilson; he is responsible for writing the number one hit “Last Dollar (Fly Away)” recorded by Tim McGraw. His successful songwriting work has also helped increase his net worth. For his personal life, it is known that Kenny married Christlev Carothers in 2005. This was his second marriage, and he had two sons from his first. The couple also have a son and in 2010, they adopted another one. Kenny also does charity work, travelling to Sudan in 2007 to deliver educational and medical supplies. In 2010, he also travelled to Haiti to help during the aftermath of the earthquake which devastated the country. 1 Big Kenny and his wife adopted a son, Dakota Jefferson Holiday Alphin, in July 2010. 2 Co-partner, with John Rich, of country music duo, Big & Rich. 3 Big Kenny and his wife welcomed son, Lincoln William Holiday Alphin, into the world on November 2, 2005. 4 Ran real-estate developing company Alphin Development in the 1980s. Was partners with Matt Walker's father. The company went bankrupt during the real estate recession of 1990.Moved to Nashville in 1992 and began a solo country music career. Used the name Big Kenny Rocks until he met band mate John Rich, then shortened it to Big Kenny. CMT: 40 Greatest Love Songs 2011 TV Movie performer: "Lost In This Moment"
The Six Wives of Henry Lefay 2009 producer: "Great Day To Love You"
Best of CMT Music Awards 2009 TV Special performer: "Save a Horse Ride a Cowboy"
40th Annual Country Music Association Awards 2006 TV Special writer: "Hicktown"
CMT Presents: Karaoke Revolution Country 2006 Video Game as Kenny Alphin, "Save A Horse Ride A Cowboy"